Today onboard the Cetacea we headed North to Jeffrey’s in chilly wind to the area we spent most of October. 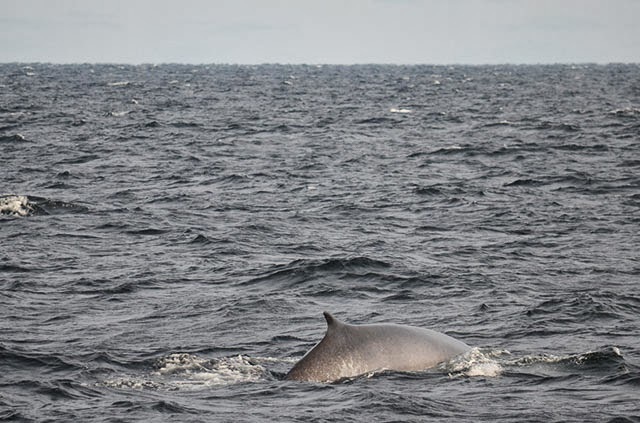 Jeffrey’s was quiet again, so we decided to try the NW corner of Stellwagen, and we were able to spot the blow of a fin whale traveling through the area. This individual was moving around sporadically between terminal dives. But it was nice to find a little bit of life (if even tricky to follow in the chop) on Stellwagen today!